Israeli Supreme Court Presiding Justice Asher Grunis and Shin-Bet Head Yoram Cohen. The fraud in the Israeli Supreme Court's computer systems should be deemed as breach of loyalty to the State of Israel and its laws by both, who hold direct responsibility for integrity and security of such systems. OccupyTLV, June 4 -- a letter to Israeli Supreme Court Presiding Justice Asher Grunis and Shin-Bet Head Yoram Cohen notices them of large-scale fraud in the Supreme Court's computer systems. The letter notes that the Human Rights Alert (NGO) report, documenting the fraud in the Supreme Court's computer systems, was incorporated into the 2013 UN Human Rights Council's Periodic Review of Human Rights in Israel with the note, "lack of integrity in the electronic records of the Supreme Court... in Israel". [ii] Parts of the Human Rights Alert report were also presented and published, subject to anonymous peer-review, in international computer-science and criminology international conferences. The Human Rights Alert report documented key events in corruption of the Supreme Court's computer systems in 2002, under the tenure of Aharon Barak as Presiding Justice and Avi Dichter as Shin-Bet Head. The fraud in the Supreme Court's computer system undermines the justice system and the rule of law in Israel from their foundation. The letter provides three out of many examples, where the fraud in the Supreme Court's computer systems was employed in relationship to corruption of the justice system itself: Denial of protection to the Tax Authority whistle-blower Rafi Rotem; patronage of corruption in the Debtors' Courts, and corruption of records pertaining to a violent police infiltrate in the OccupyTLV camp. Tax Authority whistle-blower Rafi Rotem on one of the many occasions of his false detentions in recent years. 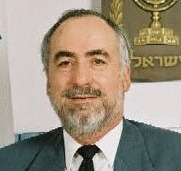 Rafi Rotem, former senior intelligence officer in the Tax Authority, blew the whistle around 2002 on corruption in the highest levels of the Israeli Tax Authority, involving undermining tax investigations worth ten and hundreds of millions NIS against businesses related to organized crime, to tycoons, and to the authorities. Since then, Israeli law enforcement and justice-system authorities refuse to investigate his complaints, while Rotem has been seriously persecuted. In 2008, Rotem filed a petition with the Israeli Supreme Court in an attempt to gain equal protection under the law. The petition was summarily denied in a March 3, 2008 "Judgment" record, which was served unsigned, uncertified, with no accompanying letter from the clerk of the court (no authentication), and bears the disclaimer "Subject to editing and phrasing changes". The second page of simulated (bluff) record, which was mailed to Tax Authority whistle-blower Rafi Rotem by the Supreme Court on May 27, 2014, followed repeat requests filed by Rotem with Presiding Justice Asher Grunis for the service of a signed and certified copy of the March 3, 2008 "Judgment" in his case - Rotem v Samet et al (1233/08) - which summarily denied the petition. The purportedly certified record of High Court of Justice March 3, 2008 "Judgment" is not signed by the judges, bears only half a stamp of the seal of the court, bears a false certification statement ("Copying is True to the Original" instead of "True Copy of the Original"), the name and authority of the person who signed the certification are not shown, in the footnote it bears the disclaimer, "Subject to editing and phrasing changes", and the record was received with no accompanying letter from the office of the clerk of the court (no authentication). A reasonable person cannot accept such record as a valid and effectual record of any court.